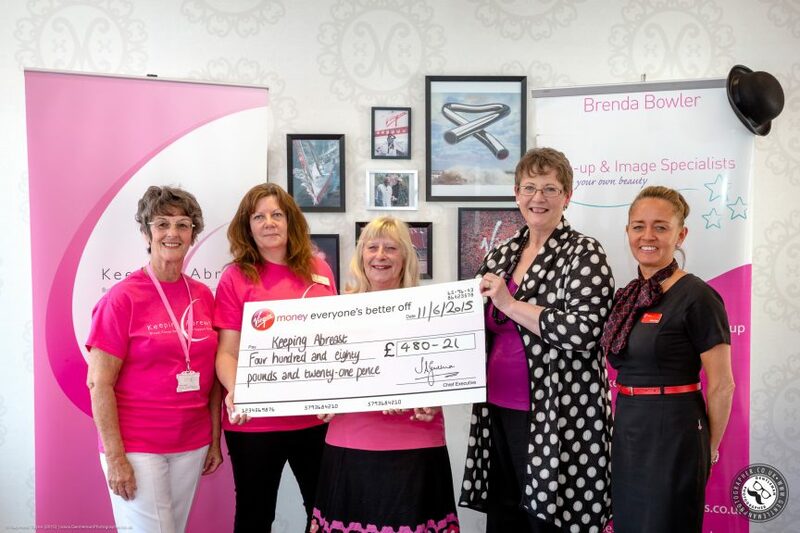 The ‘Looking Good’ evening was held on the 28th May, 2015 at the Virgin Money Coffee Lounge, Norwich. Limited seats were available (prebooked entry only) and the event raised just under £500 for the ‘Keeping Abreast Charity’. A voluntary contribution of £5 entry for wine and canapes, and amazing raffle prizes contributed to a sizeable donation to the charity. Guild member Brenda Bowler was one of the main event organizers. She can help you find the right colour and style of outfit for your special day to make you look and feel fabulous! Brenda is also a makeup artist, so if you wish to be pampered on the day, she can come to you. Brenda excels in helping mature ladies and second time around brides who are looking for a natural look.